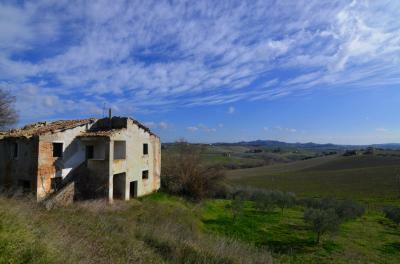 At few km from the Historic Town of Ascoli Piceno, typical farmhouse to renovate of 280 sqm with land of 7000 sqm and with more than 100 olive trees. 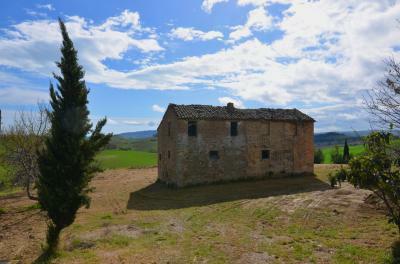 The property is located in a beautiful natural area near the village of Appignano del Tronto and is surrounded by vineyards, olive groves and other typical crops of these areas. The building needs a complete renovation and the design could also include the construction of a beautiful swimming pool overlooking the surrounding hills. Surely the building can also accommodate two families due to its size or could become a beautiful single country villa. The property is located a few km from all primary services and 25 km from the beaches of San Benedetto del Tronto (Adriatic Coast).